A fine wine dinner focusing on the great classic wines of the world. 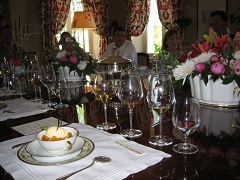 Join Rose at this sumptuous four course dinner at one of Scotland's best restaurants. 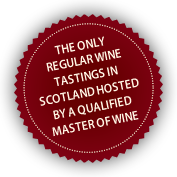 Sample eight different fine wines matched alongside Peat Inn Michelin-star chef/proprietor Geoffrey Smeddle's wonderful dishes. Please note that the dinner price is £107pp. If you wish to avoid the online booking fee of £3pp - please contact Rose to book direct and pay by BACS. There are a limited number of luxurious Peat Inn suites available at a special price - if you are interested in an overnight stay for this dinner at The Peat Inn, please contact Rose direct to book accommodation.